This A.O. 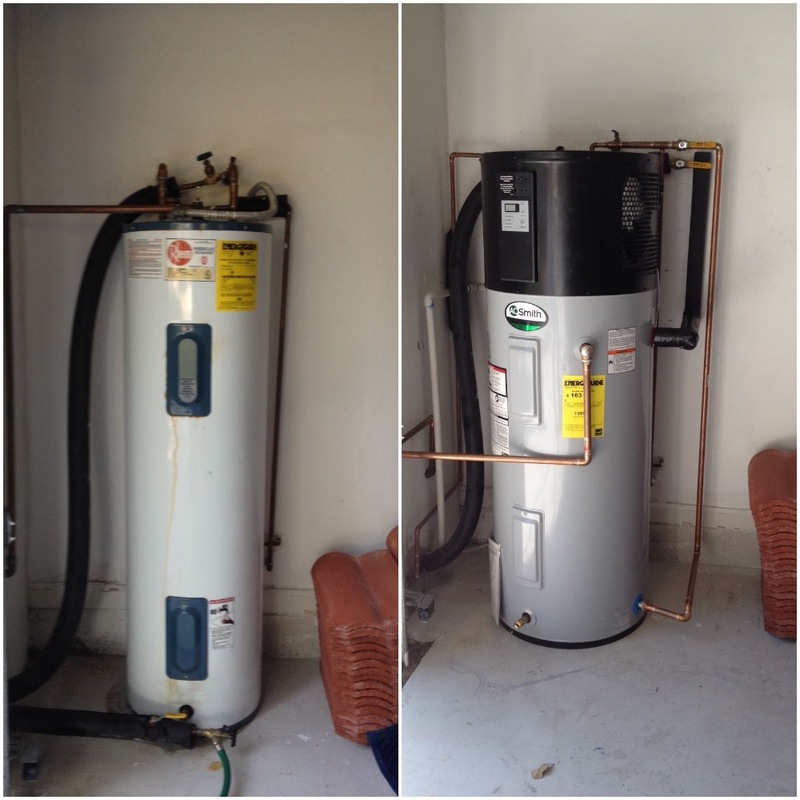 Smith Heat Pump – Hybrid Hot Water heater was installed in our customer’s garage. It replaced an older conventional style electric tank style hot water heater. Benefits include utility bills should be around $400 less per year over the conventional electric. Also, the heater blows cool air into the garage. The Hybrid-Heat Pump uses the warm air in the garage to help heat the hot water.